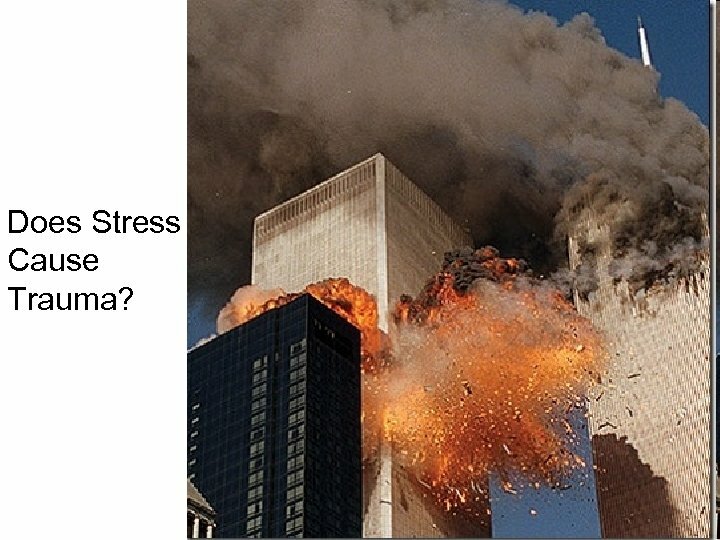 After 9 -11, many survivors of the Twin Towers disaster developed Post Traumatic Stress Disorder – but not all of them. Why not? 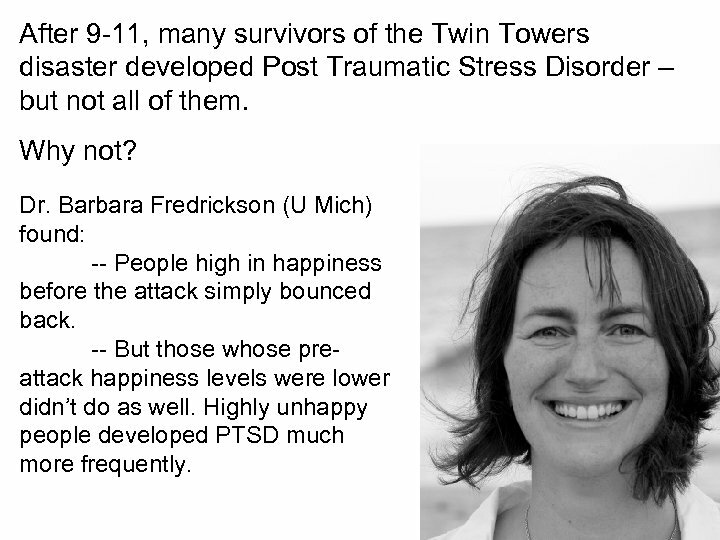 Dr. Barbara Fredrickson (U Mich) found: -- People high in happiness before the attack simply bounced back. 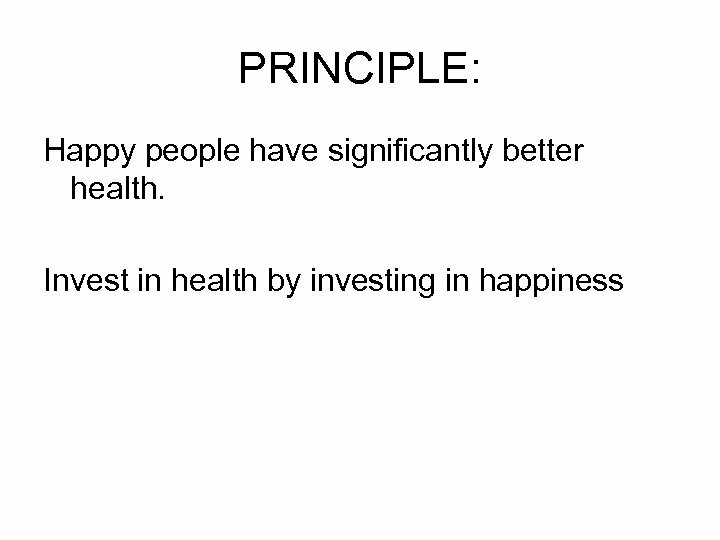 -- But those whose preattack happiness levels were lower didn’t do as well. Highly unhappy people developed PTSD much more frequently. 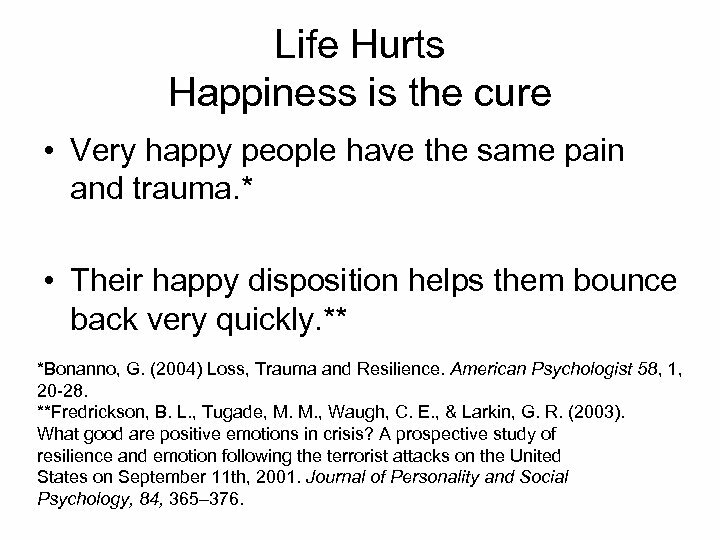 Life Hurts Happiness is the cure • Very happy people have the same pain and trauma. 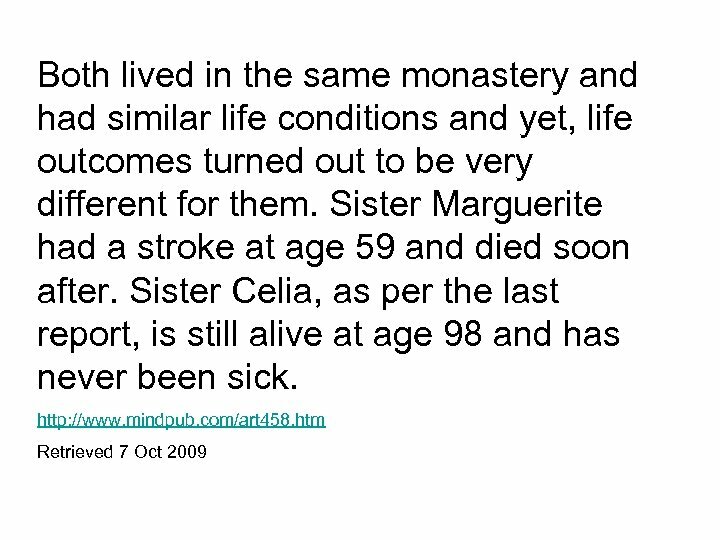 * • Their happy disposition helps them bounce back very quickly. ** *Bonanno, G. (2004) Loss, Trauma and Resilience. 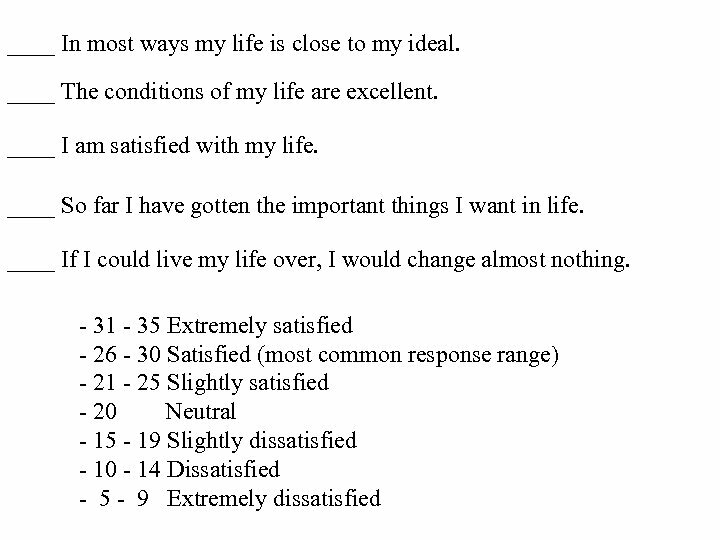 American Psychologist 58, 1, 20 -28. 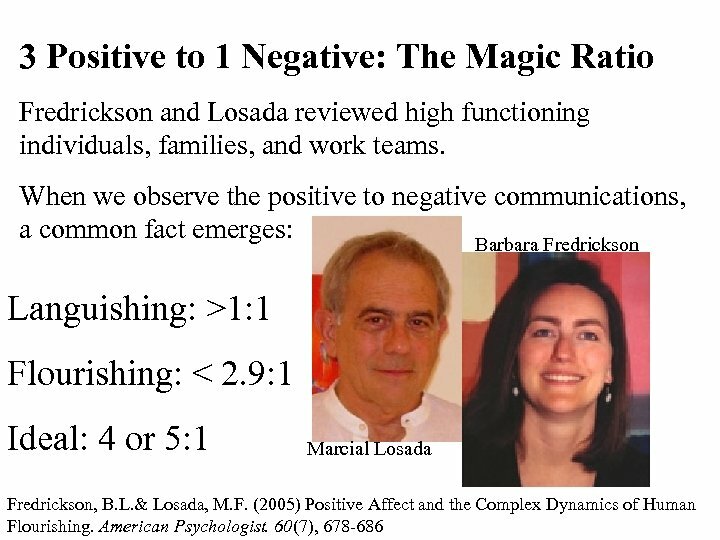 **Fredrickson, B. L. , Tugade, M. M. , Waugh, C. E. , & Larkin, G. R. (2003). 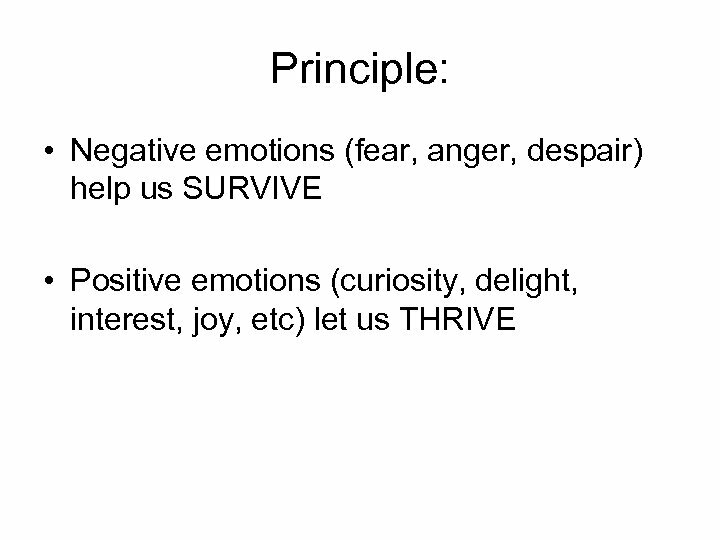 What good are positive emotions in crisis? A prospective study of resilience and emotion following the terrorist attacks on the United States on September 11 th, 2001. 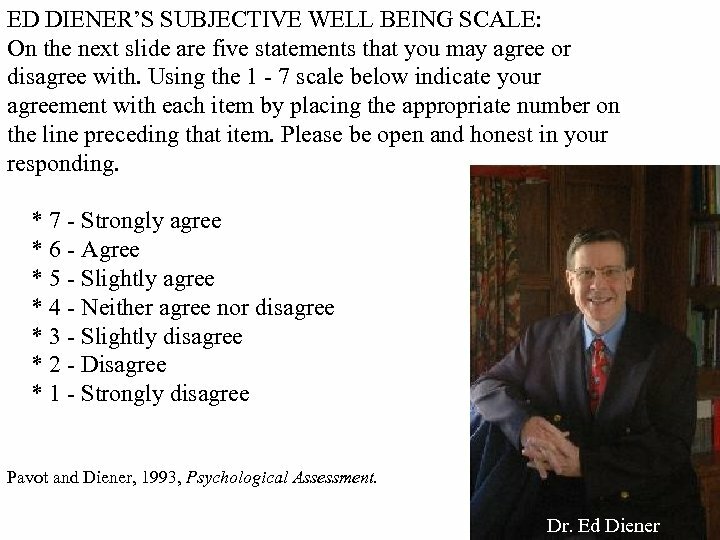 Journal of Personality and Social Psychology, 84, 365– 376. 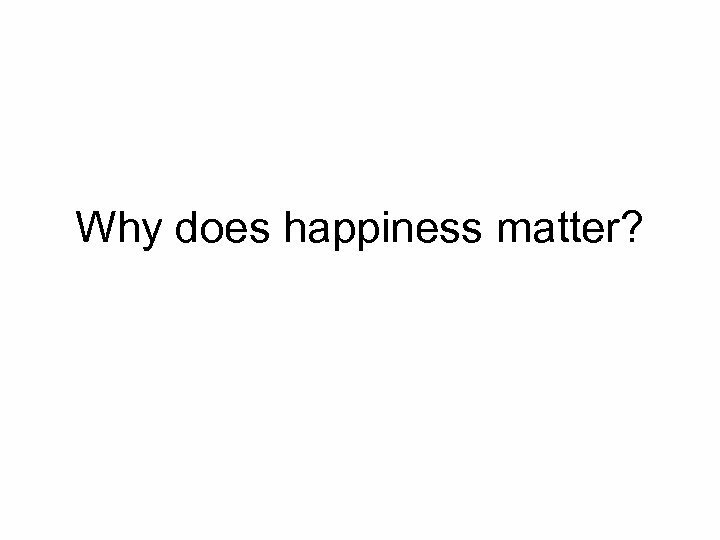 What Good is Happiness? 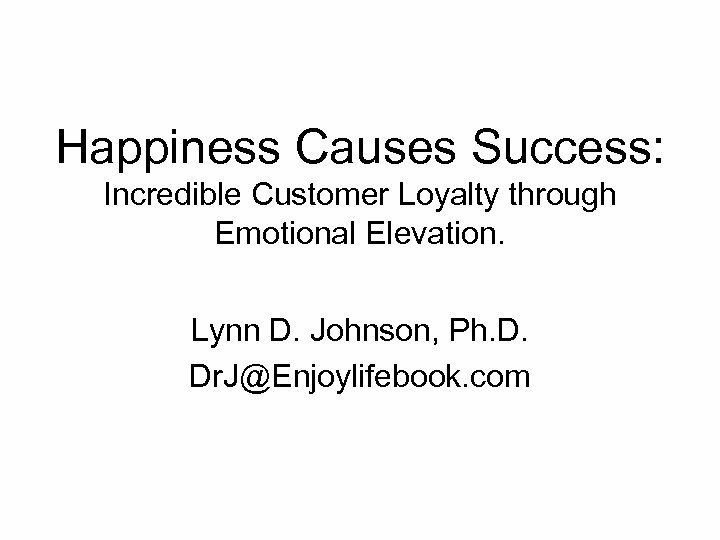 • Happy people are shallow and uninteresting? 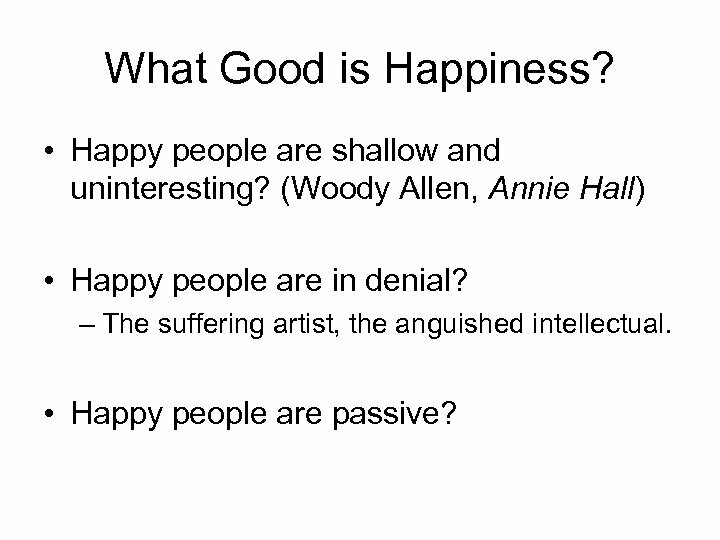 (Woody Allen, Annie Hall) • Happy people are in denial? – The suffering artist, the anguished intellectual. 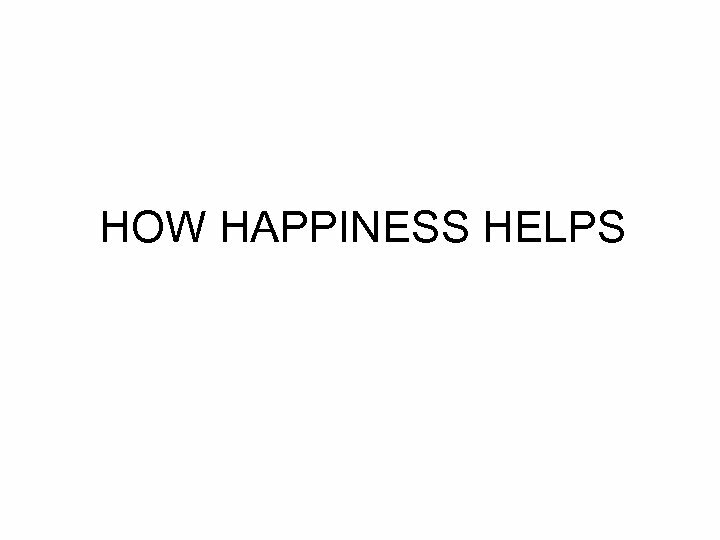 • Happy people are passive? 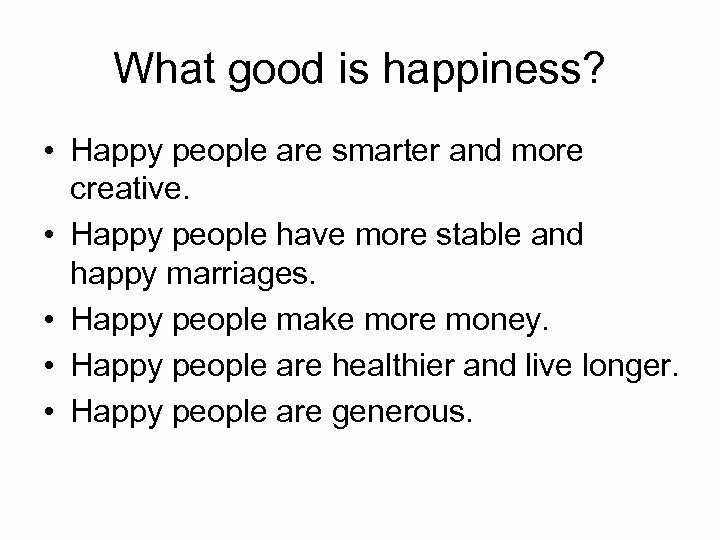 What good is happiness? • Happy people are smarter and more creative. 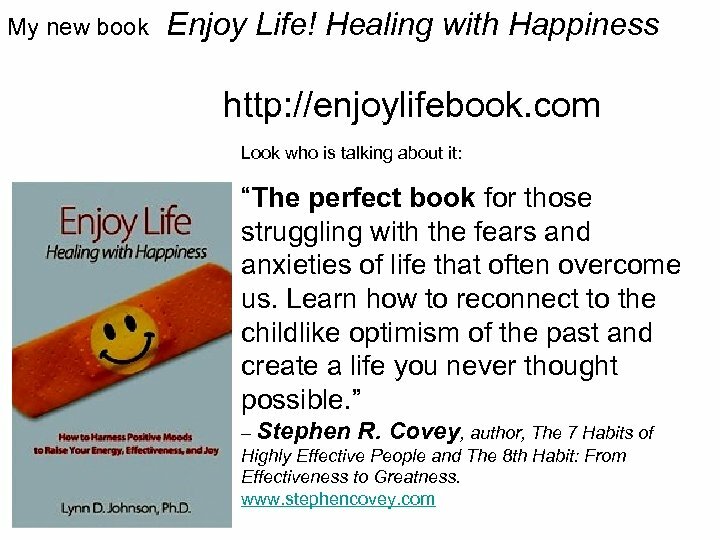 • Happy people have more stable and happy marriages. • Happy people make more money. 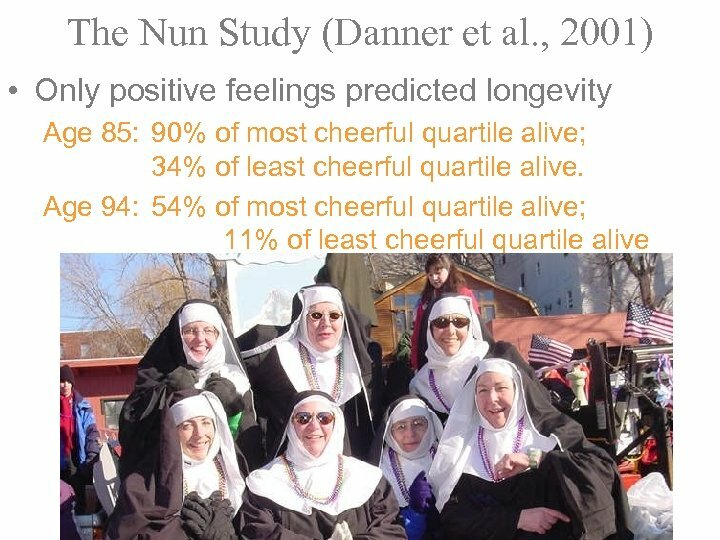 • Happy people are healthier and live longer. • Happy people are generous. 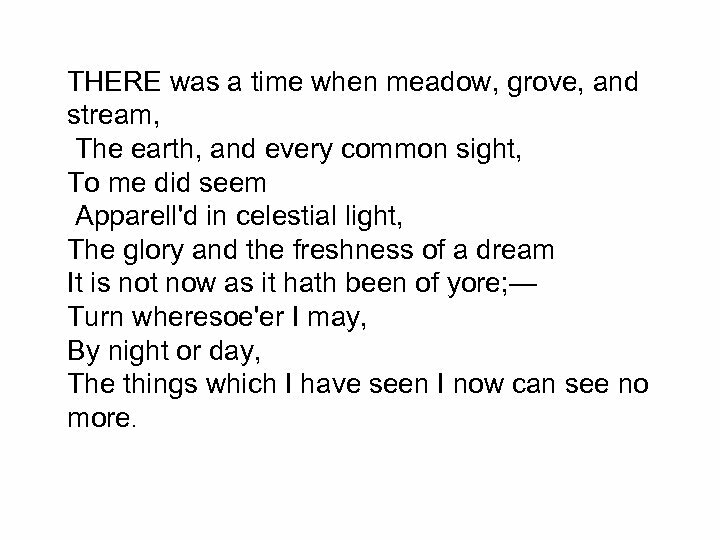 THERE was a time when meadow, grove, and stream, The earth, and every common sight, To me did seem Apparell'd in celestial light, The glory and the freshness of a dream It is not now as it hath been of yore; — Turn wheresoe'er I may, By night or day, The things which I have seen I now can see no more. 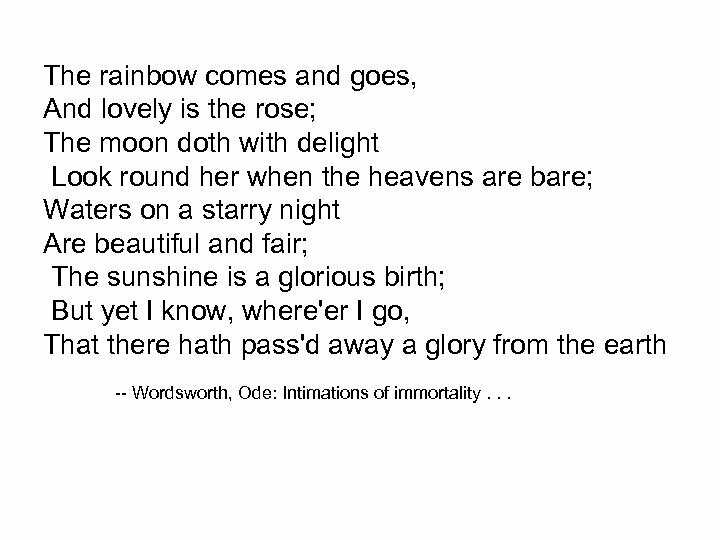 The rainbow comes and goes, And lovely is the rose; The moon doth with delight Look round her when the heavens are bare; Waters on a starry night Are beautiful and fair; The sunshine is a glorious birth; But yet I know, where'er I go, That there hath pass'd away a glory from the earth -- Wordsworth, Ode: Intimations of immortality. . . 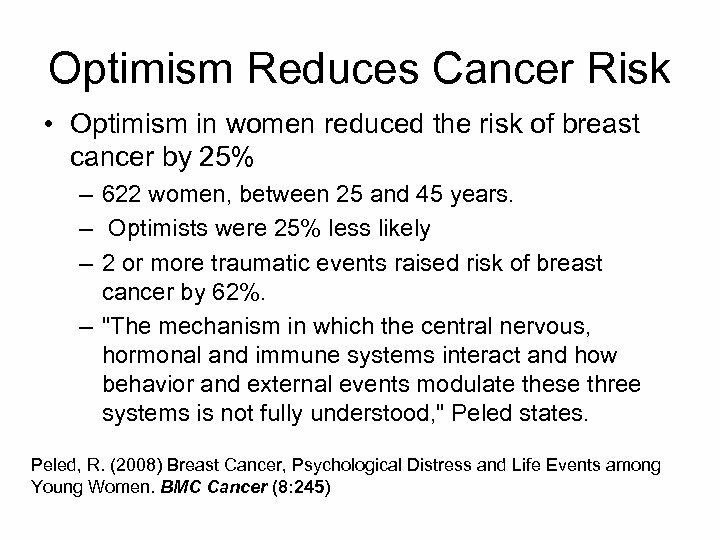 Optimism and Heart Attacks Erik Giltay et al. 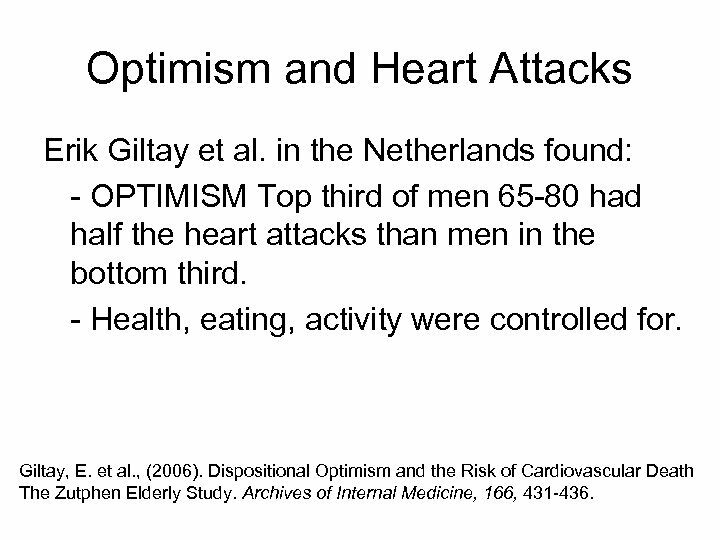 in the Netherlands found: - OPTIMISM Top third of men 65 -80 had half the heart attacks than men in the bottom third. 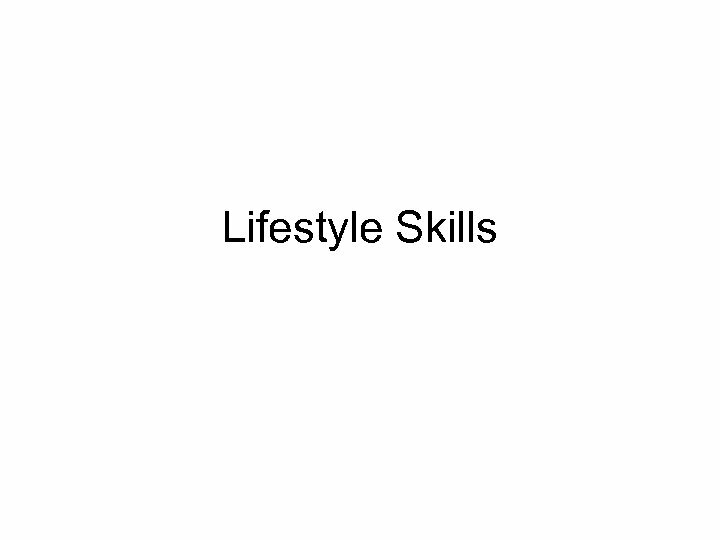 - Health, eating, activity were controlled for. Giltay, E. et al. , (2006). 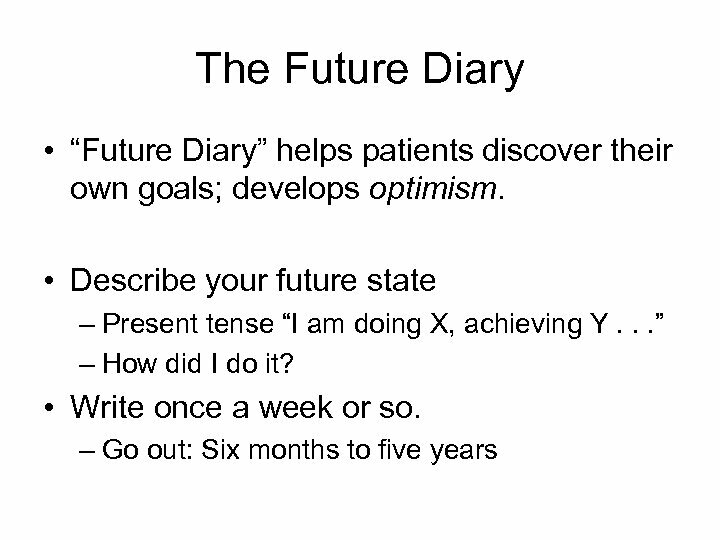 Dispositional Optimism and the Risk of Cardiovascular Death The Zutphen Elderly Study. Archives of Internal Medicine, 166, 431 -436. 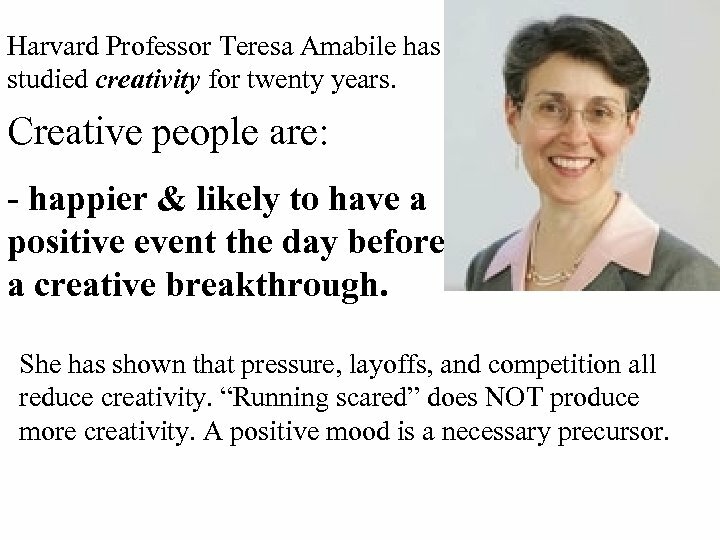 Harvard Professor Teresa Amabile has studied creativity for twenty years. 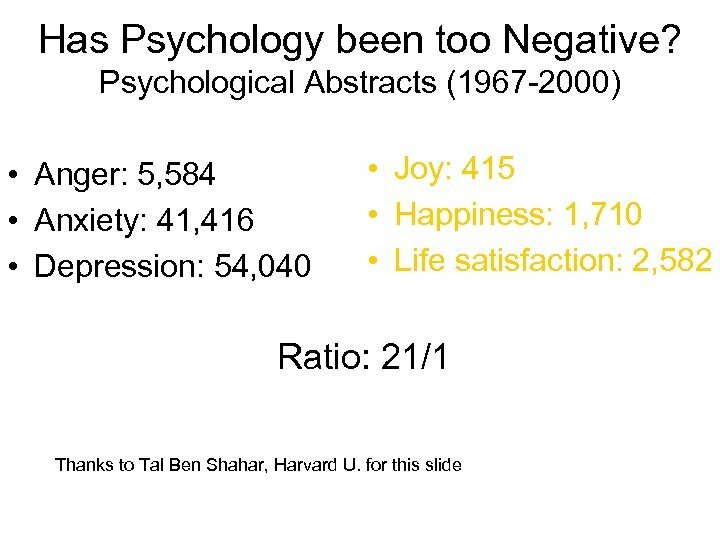 Creative people are: - happier & likely to have a positive event the day before a creative breakthrough. She has shown that pressure, layoffs, and competition all reduce creativity. “Running scared” does NOT produce more creativity. 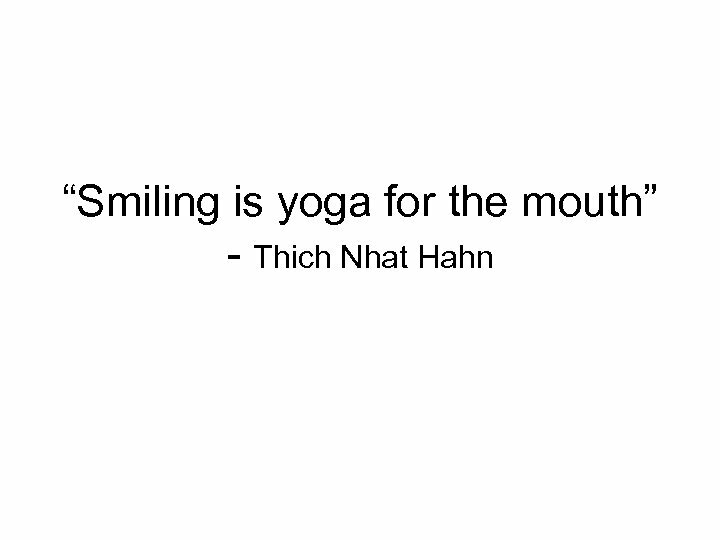 A positive mood is a necessary precursor. 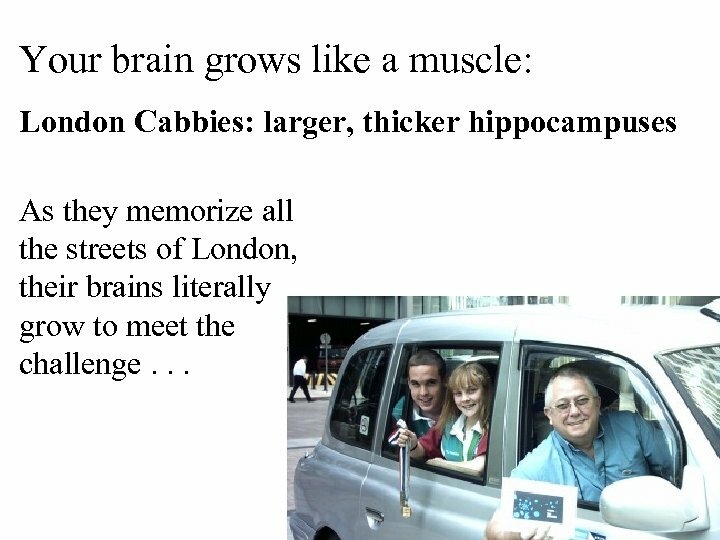 Your brain grows like a muscle: London Cabbies: larger, thicker hippocampuses As they memorize all the streets of London, their brains literally grow to meet the challenge. 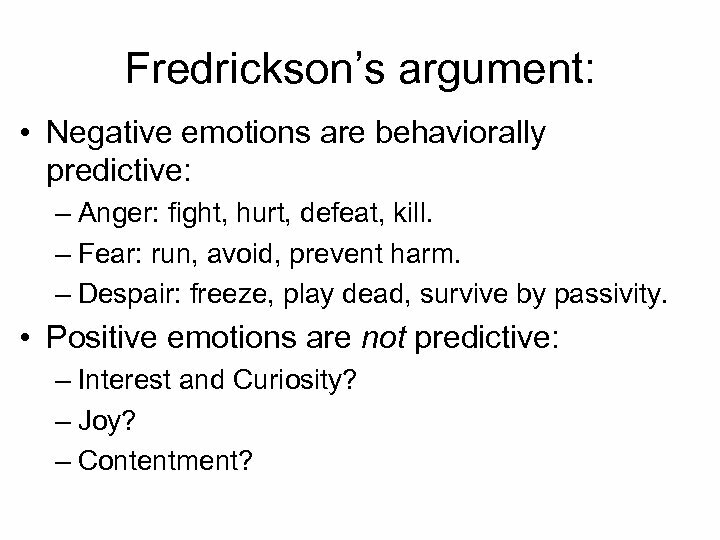 . .
Fredrickson’s argument: • Negative emotions are behaviorally predictive: – Anger: fight, hurt, defeat, kill. – Fear: run, avoid, prevent harm. – Despair: freeze, play dead, survive by passivity. 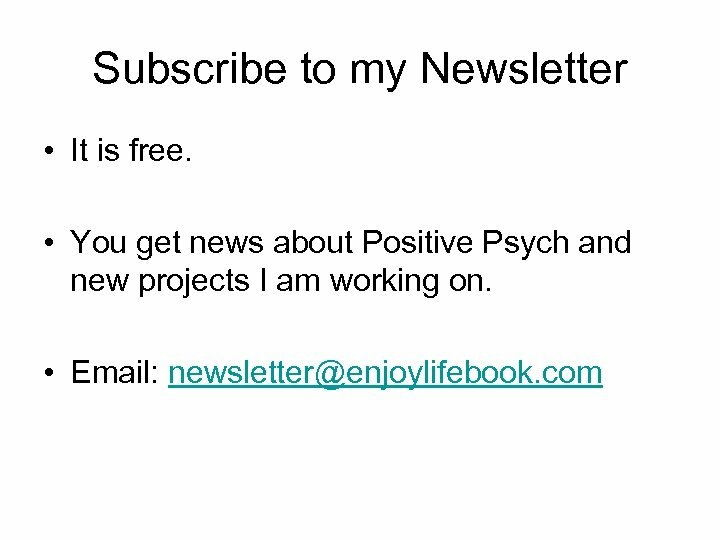 • Positive emotions are not predictive: – Interest and Curiosity? – Joy? – Contentment? 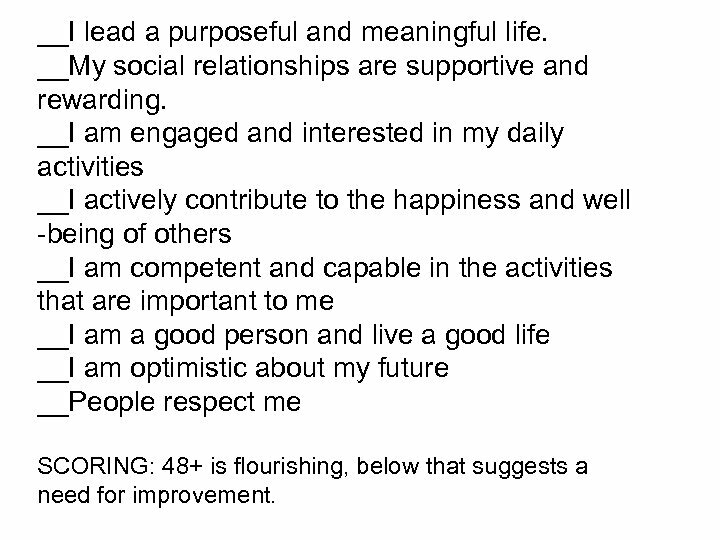 __I lead a purposeful and meaningful life. __My social relationships are supportive and rewarding. __I am engaged and interested in my daily activities __I actively contribute to the happiness and well -being of others __I am competent and capable in the activities that are important to me __I am a good person and live a good life __I am optimistic about my future __People respect me SCORING: 48+ is flourishing, below that suggests a need for improvement. 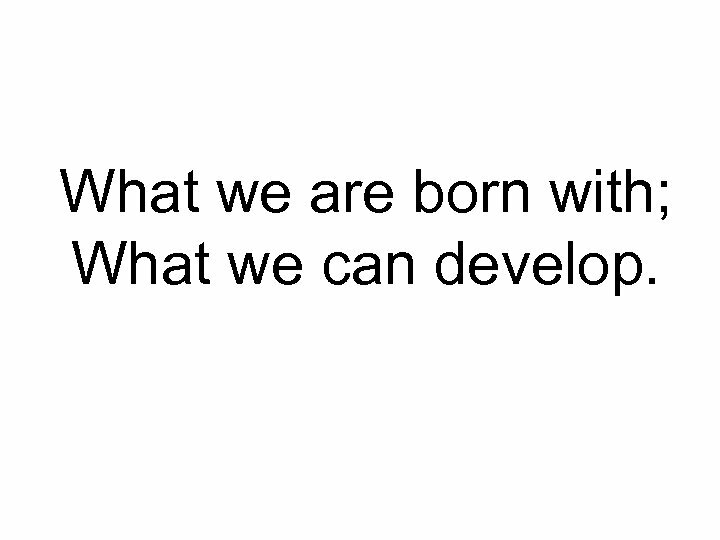 What we are born with; What we can develop. What Can We Change? 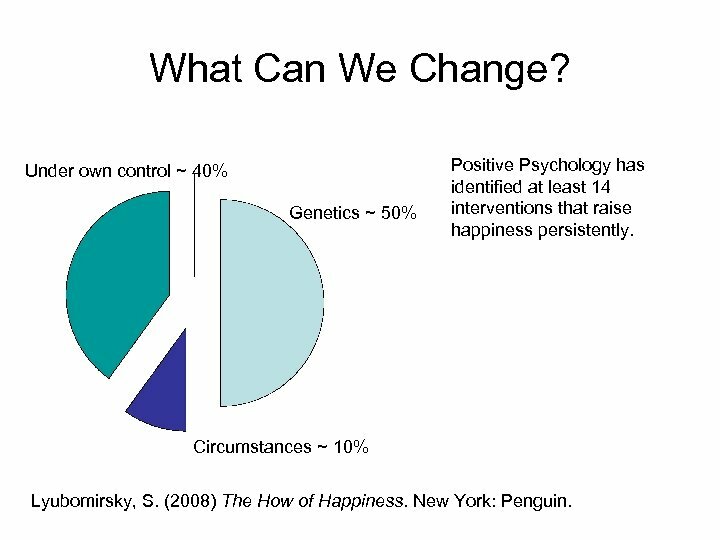 Under own control ~ 40% Genetics ~ 50% Positive Psychology has identified at least 14 interventions that raise happiness persistently. 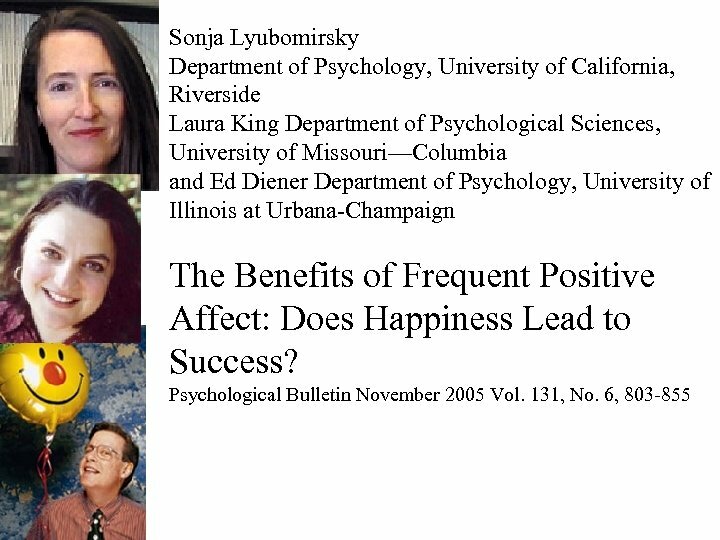 Circumstances ~ 10% Lyubomirsky, S. (2008) The How of Happiness. New York: Penguin. 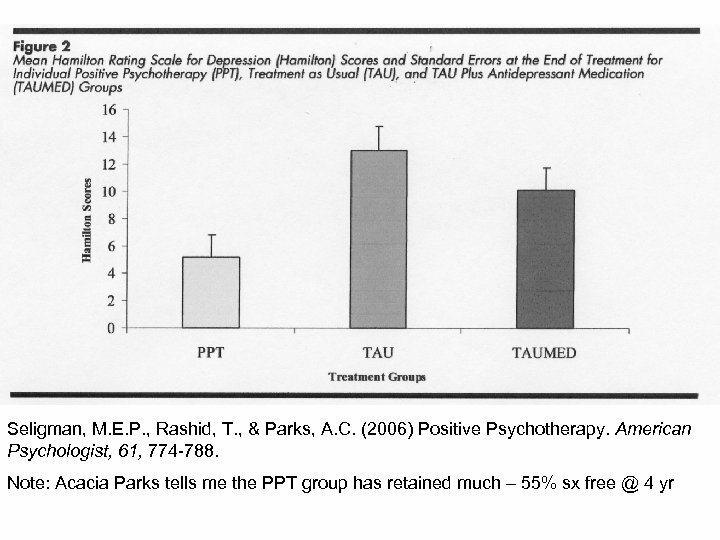 Recent Seligman Research: • DEPRESSION: Several PP interventions are equal to or better than: – Treatment (therapy) as usual (TAU) – Combined medication and TAU • TOP TOOLS: Gratitude visit; Gratitude diary, Using personal strengths. 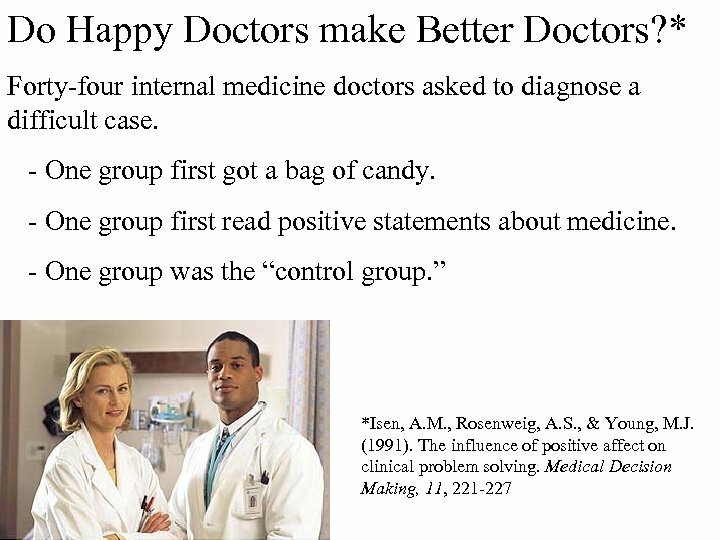 Seligman, M. E. P. , Steen, T. A. , Park, N. , Peterson, C. (2005) Positive Psychology Progress: Empirical validation of interventions. 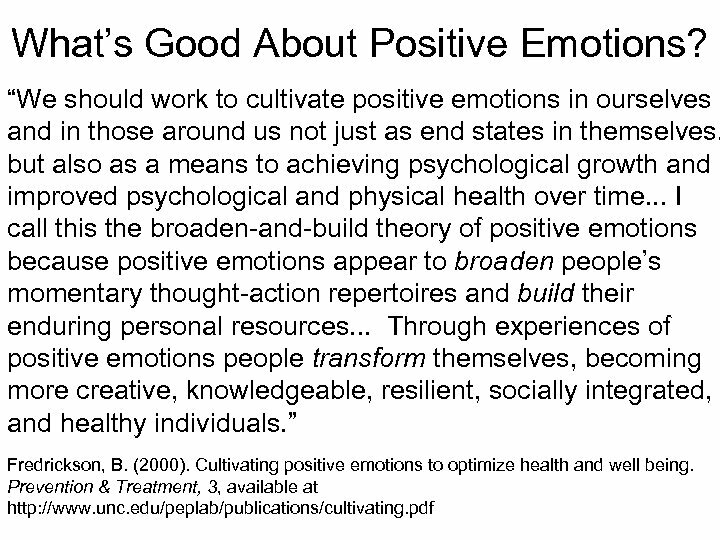 American Psychologist 60, 410 -421 Seligman, M. E. P. , Rashid, T. , & Parks, A. C. (2006) Positive Psychotherapy. 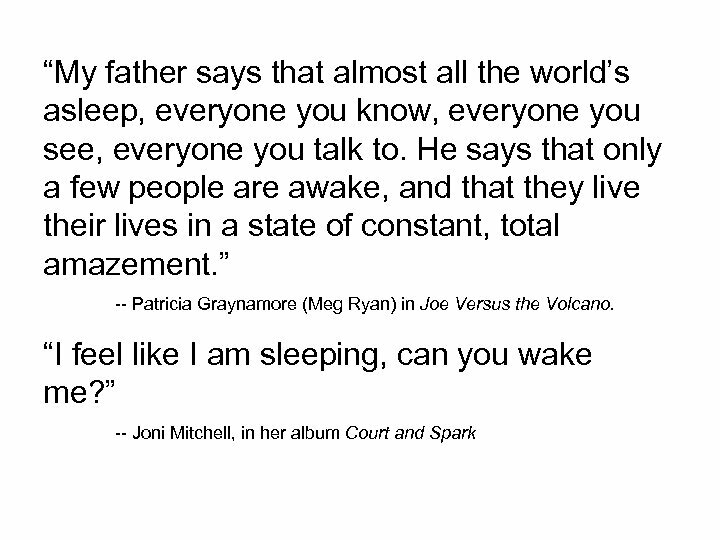 American Psychologist, 61, 774 -788. 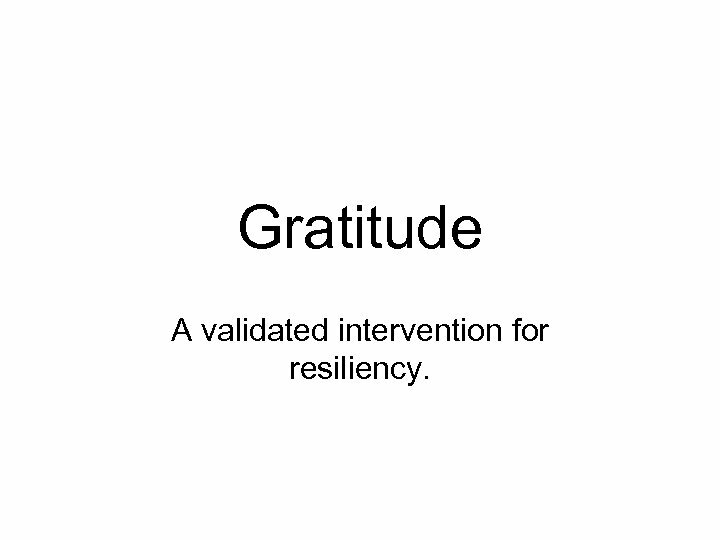 Gratitude A validated intervention for resiliency. Who has been kind or helpful? • Jot down two or three people who have been kind to you. – People you ought to thank. . . • How do you feel when you review those memories? 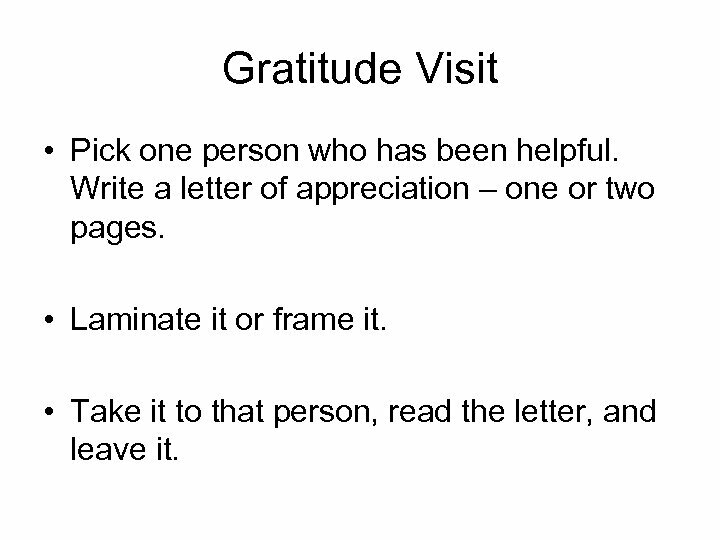 Gratitude Visit • Pick one person who has been helpful. 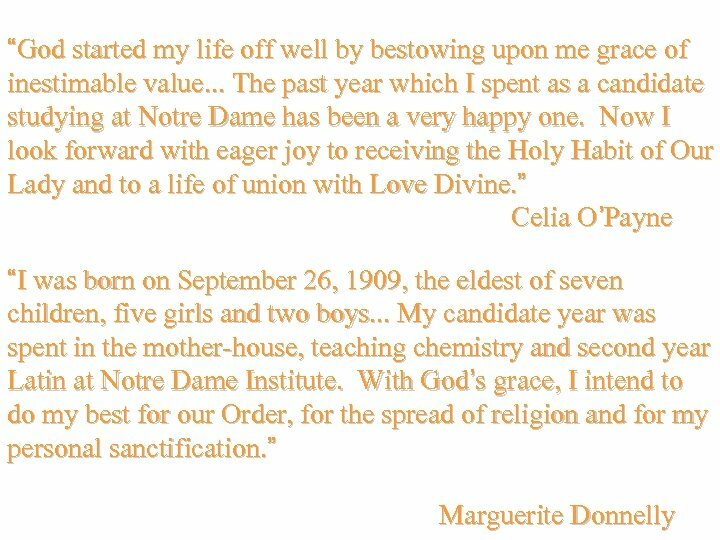 Write a letter of appreciation – one or two pages. • Laminate it or frame it. • Take it to that person, read the letter, and leave it. Gratitude Experiment • Jot down three things, in the past 24 -48 hours, that you feel good about and would like to see continue. 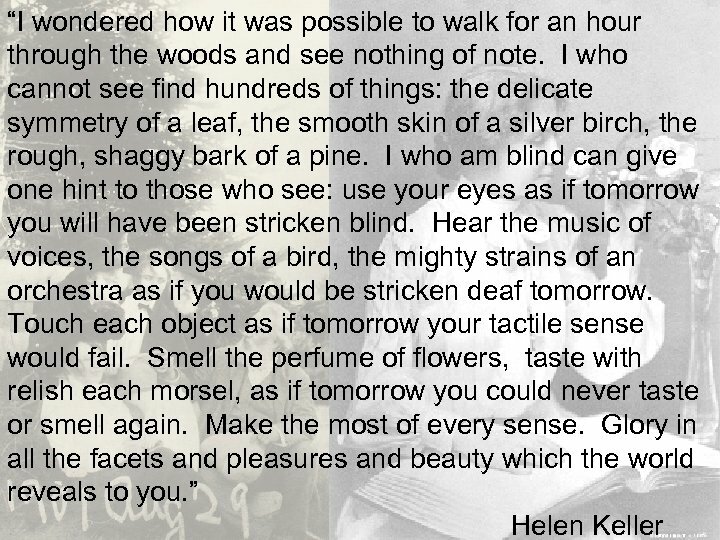 • Jot down one or two things you did that you feel were good, right, ethical, or noble, some things you approve of. • How do you feel? 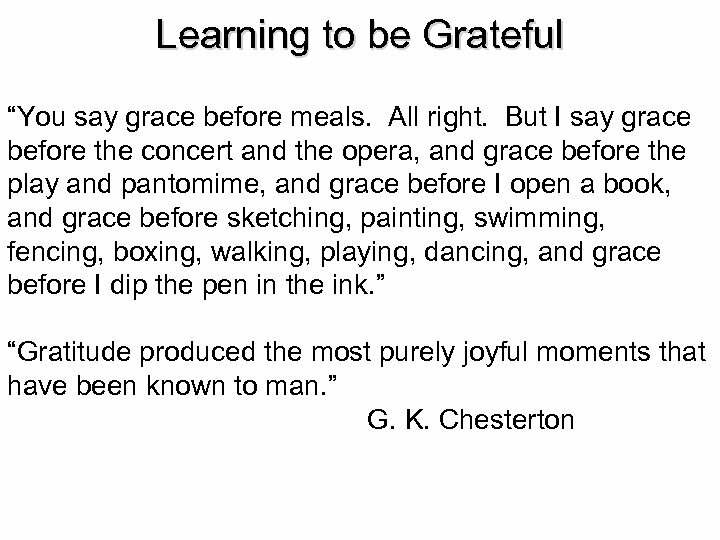 Gratitude for Challenges • Jot down something that upset you. • Now try to brainstorm: How might this be a blessing in disguise? How could I turn it to my advantage? What could be good about this? • Rate your feelings now: 0 -10. 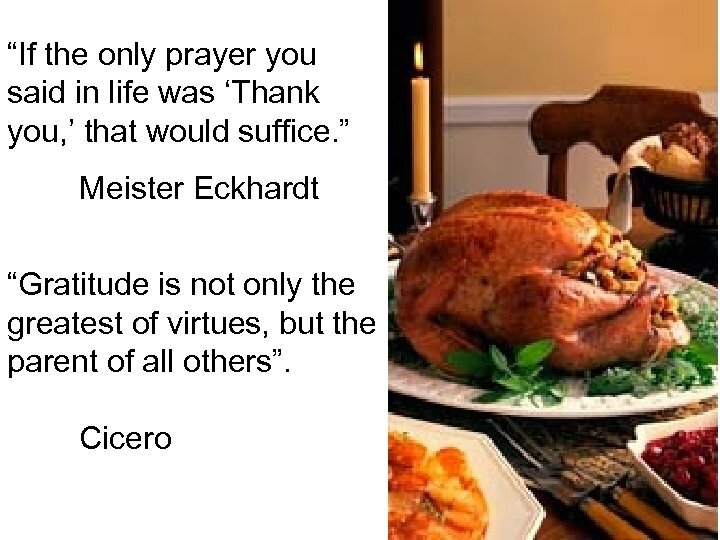 The Gratitude Diary • Every few days, write 3 – 5 things that you liked. – What happened to me? How did it happen? – What did I do right? • Then write one thing that you didn’t like – Ask yourself: “And how is it also good, a blessing in disguise? 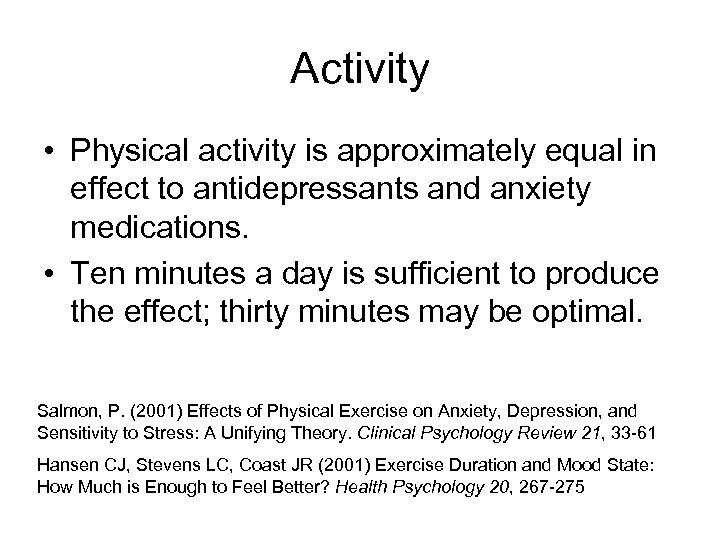 ” – Find two or three ways it helps you. 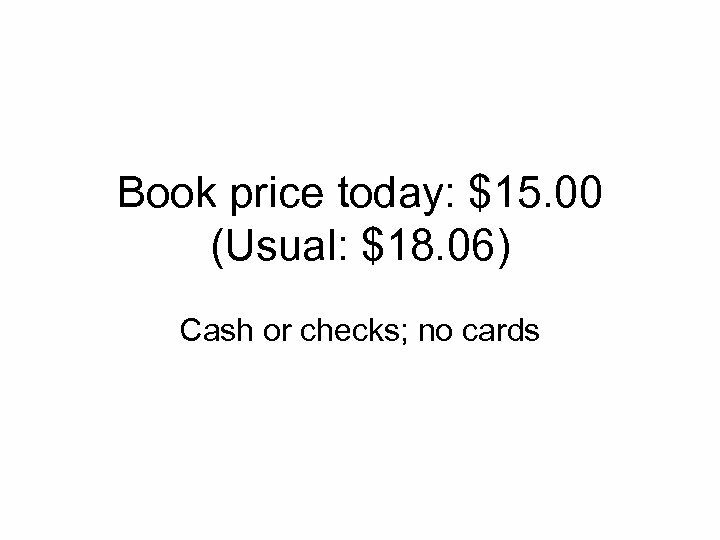 How likely are you to do it? 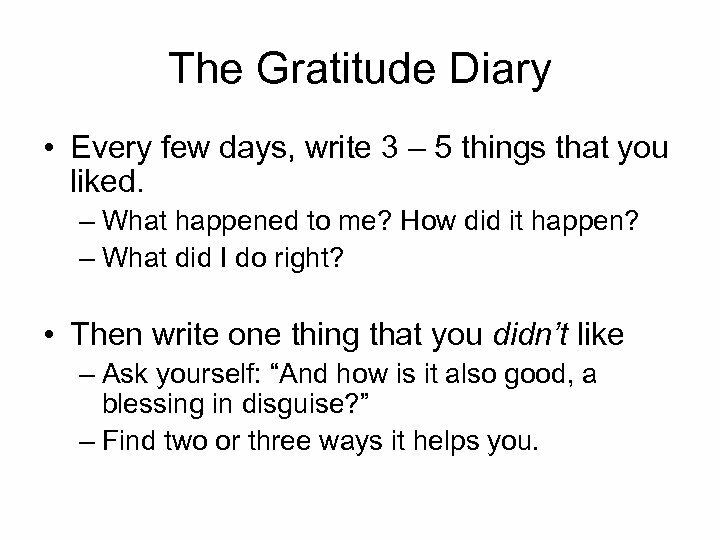 • Advantages of doing the gratitude diary? 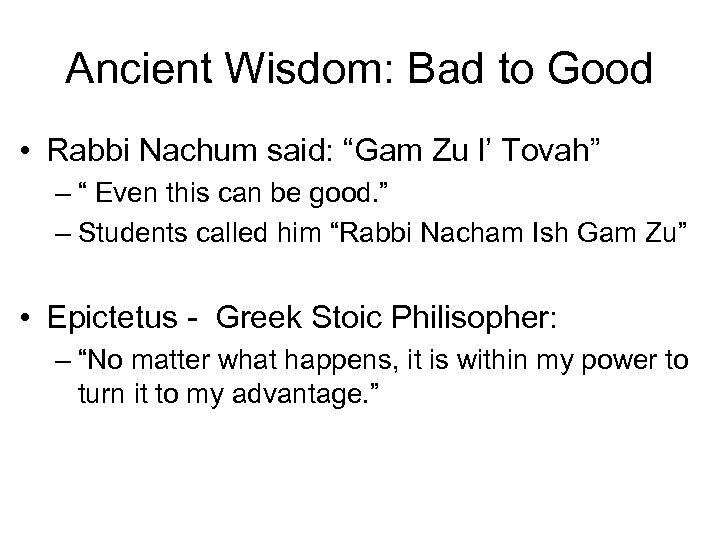 • Disadvantages (or, the advantage of not doing it)? 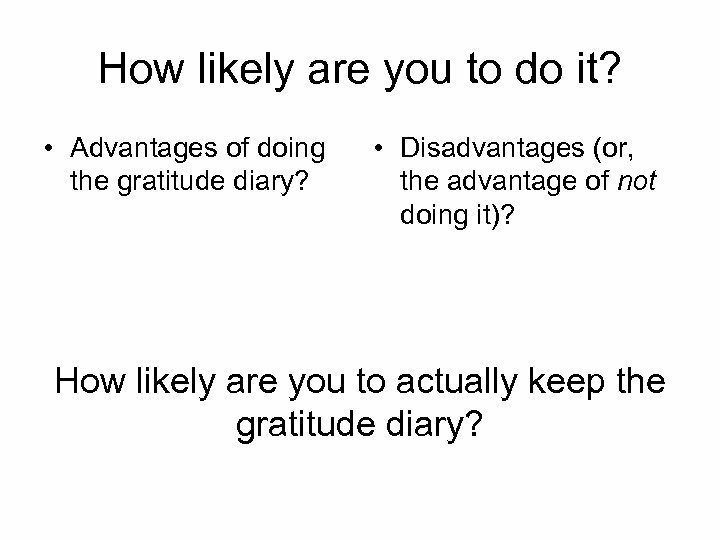 How likely are you to actually keep the gratitude diary? 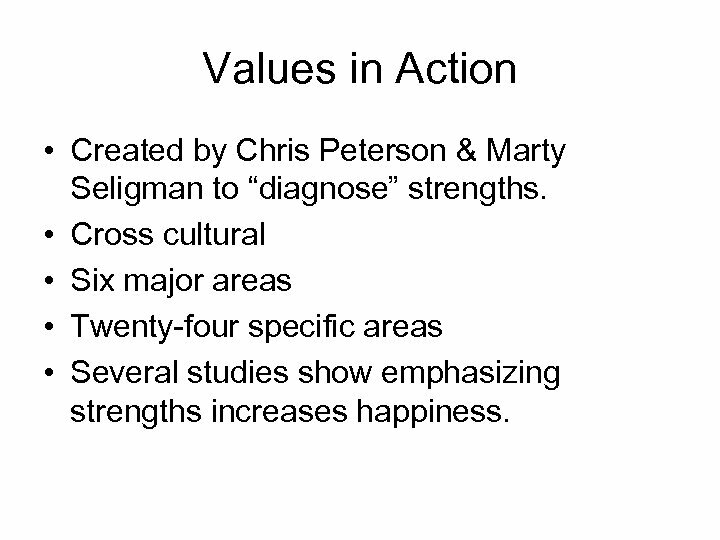 Values in Action • Created by Chris Peterson & Marty Seligman to “diagnose” strengths. 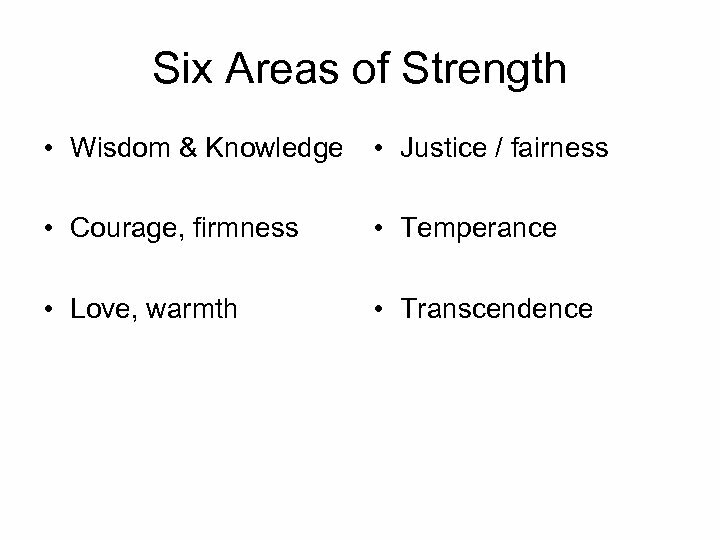 • Cross cultural • Six major areas • Twenty-four specific areas • Several studies show emphasizing strengths increases happiness. 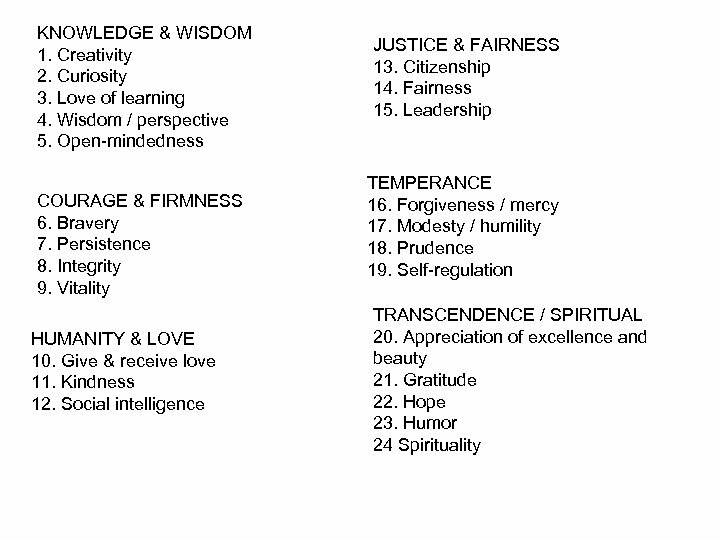 Now pick three or four that best describe you. 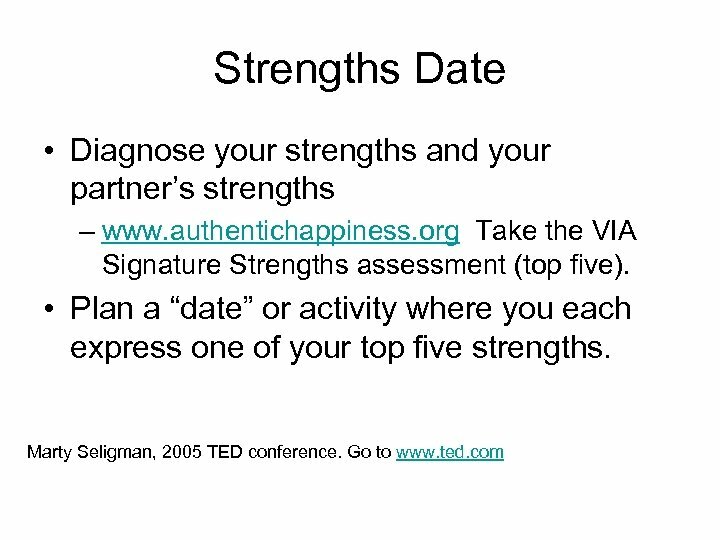 Assignment: Consciously increase the amount of time and energy you give to your top strengths. 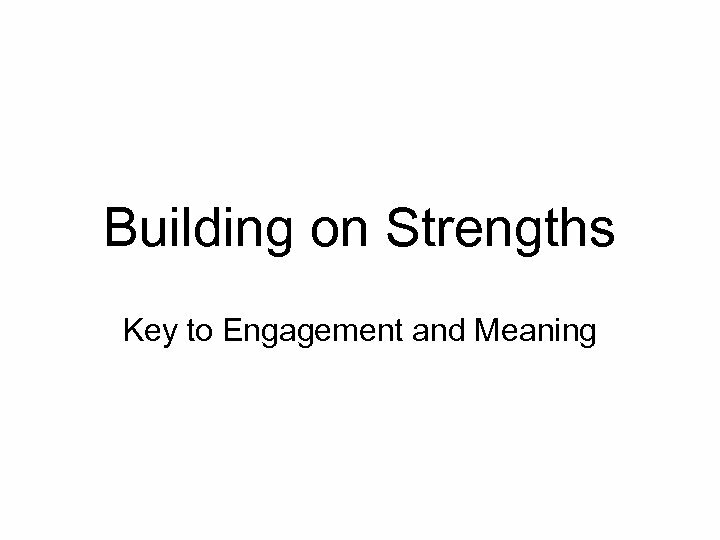 Use a Key Strength to Address your Largest Challenge Example: Your Strength is Kindness. Your Challenge: A research paper. 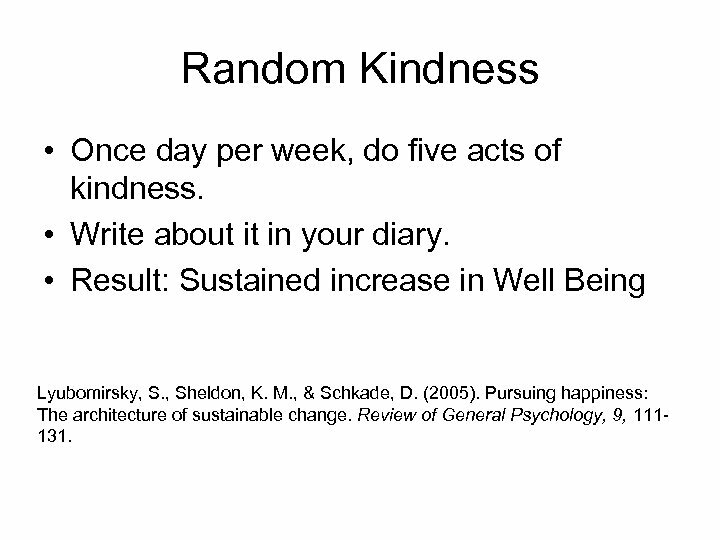 Random Kindness • Once day per week, do five acts of kindness. • Write about it in your diary. 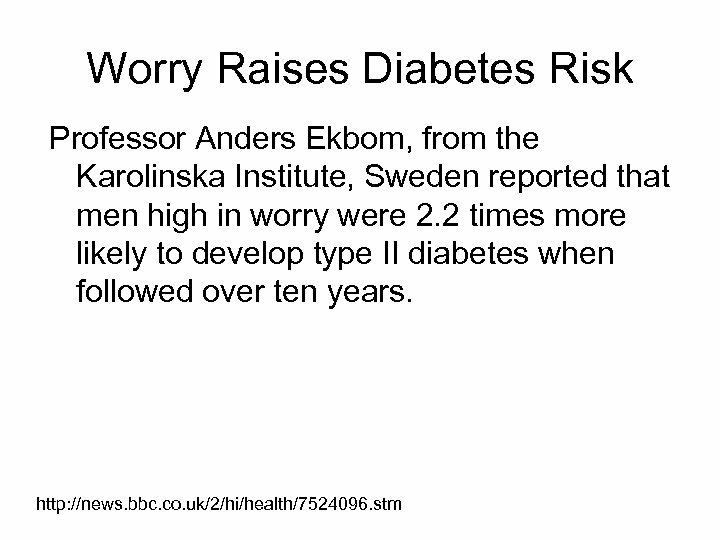 • Result: Sustained increase in Well Being Lyubomirsky, S. , Sheldon, K. M. , & Schkade, D. (2005). 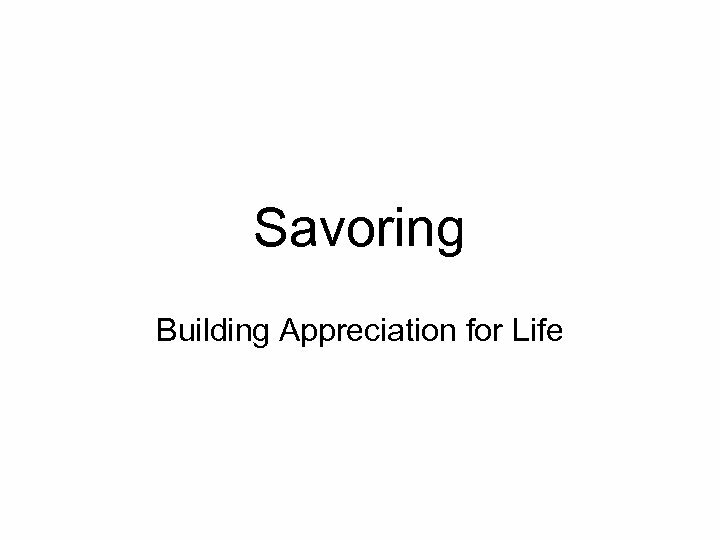 Pursuing happiness: The architecture of sustainable change. 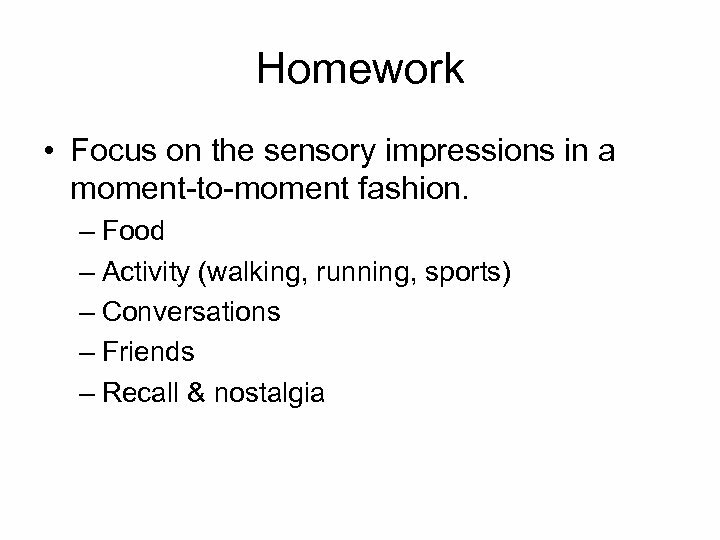 Review of General Psychology, 9, 111131. 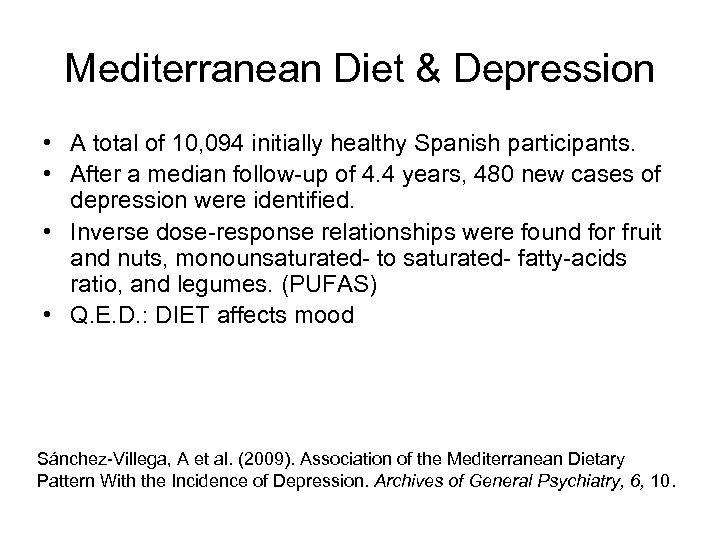 Mediterranean Diet & Depression • A total of 10, 094 initially healthy Spanish participants. • After a median follow-up of 4. 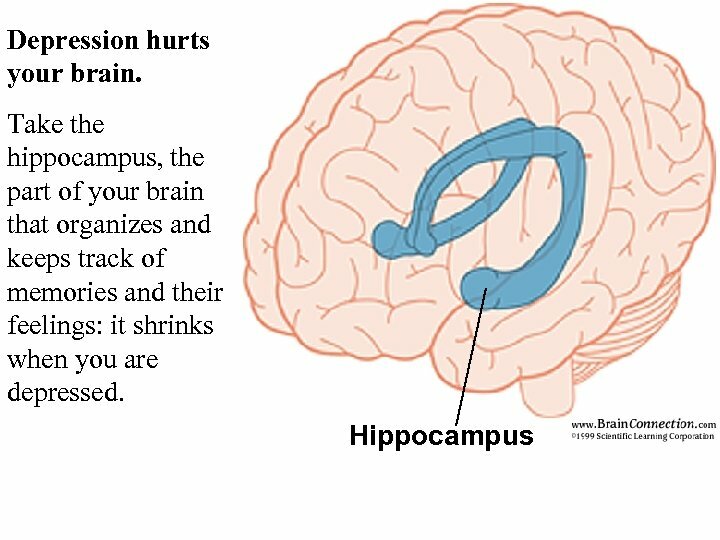 4 years, 480 new cases of depression were identified. • Inverse dose-response relationships were found for fruit and nuts, monounsaturated- to saturated- fatty-acids ratio, and legumes. 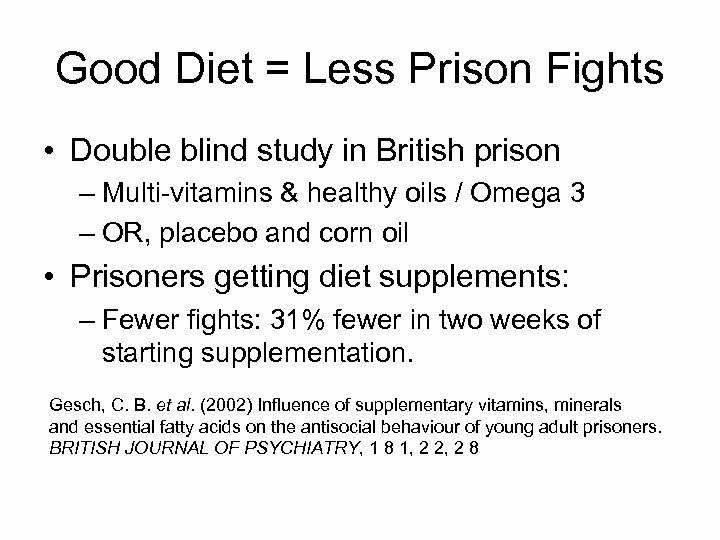 (PUFAS) • Q. E. D. : DIET affects mood Sánchez-Villega, A et al. (2009). 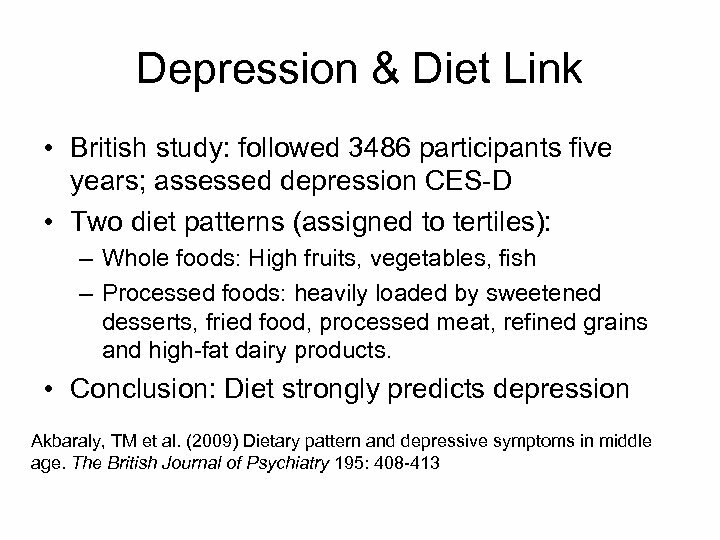 Association of the Mediterranean Dietary Pattern With the Incidence of Depression. 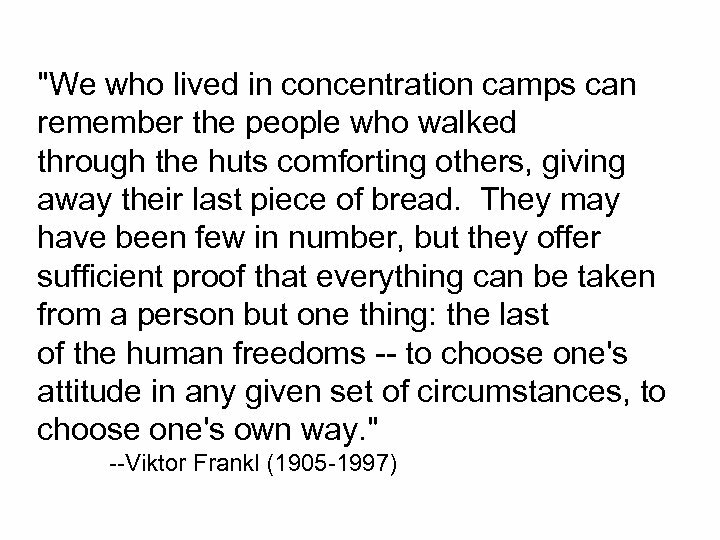 Archives of General Psychiatry, 6, 10. 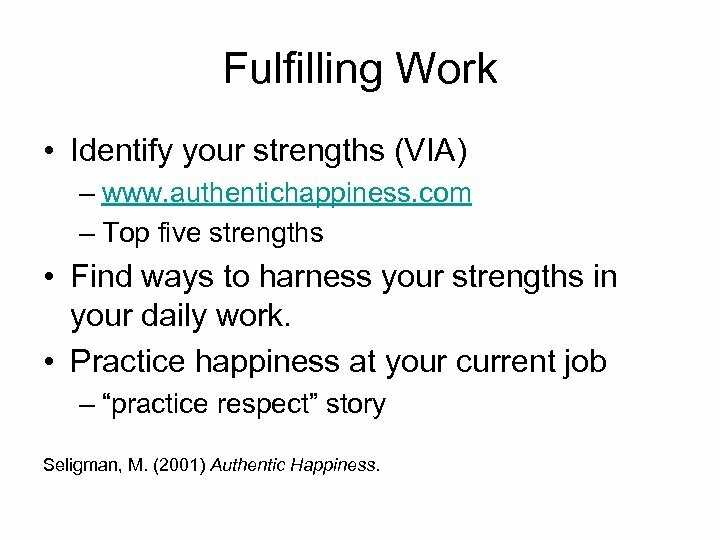 Fulfilling Work • Identify your strengths (VIA) – www. 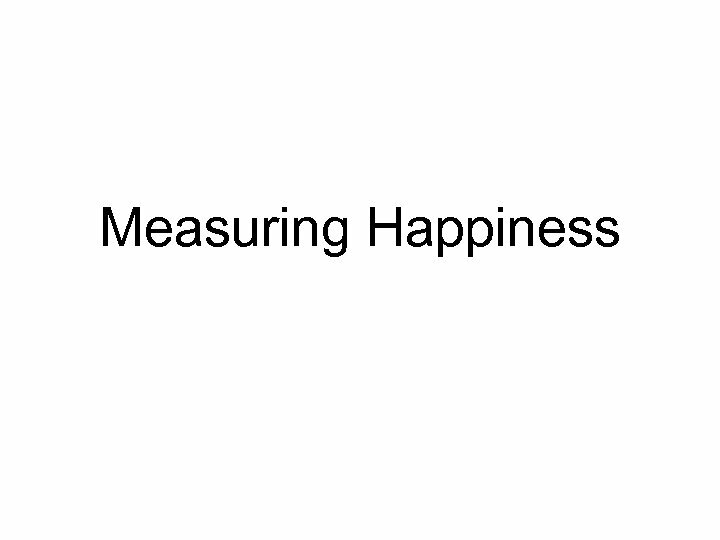 authentichappiness. com – Top five strengths • Find ways to harness your strengths in your daily work. 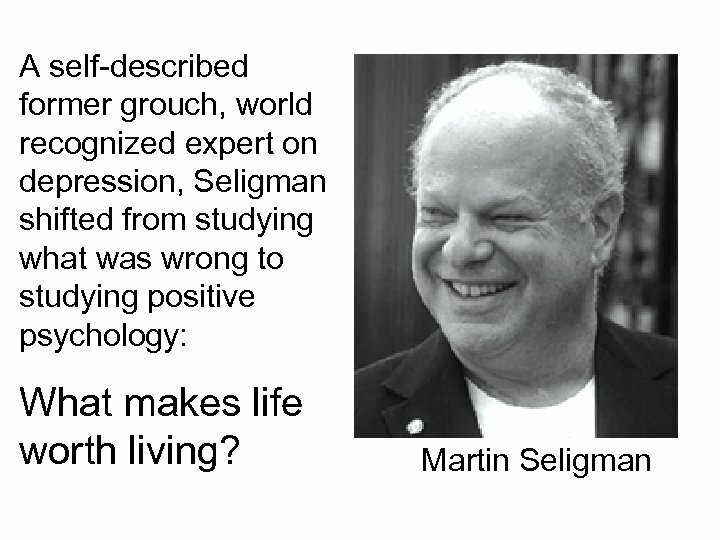 • Practice happiness at your current job – “practice respect” story Seligman, M. (2001) Authentic Happiness. 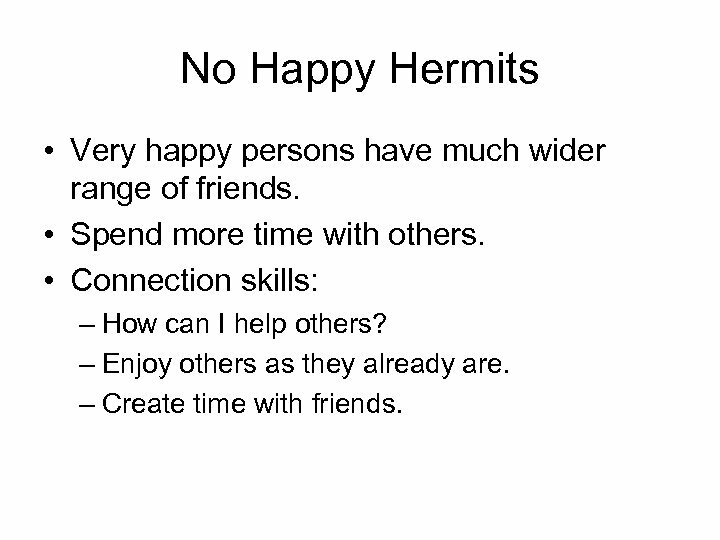 No Happy Hermits • Very happy persons have much wider range of friends. • Spend more time with others. 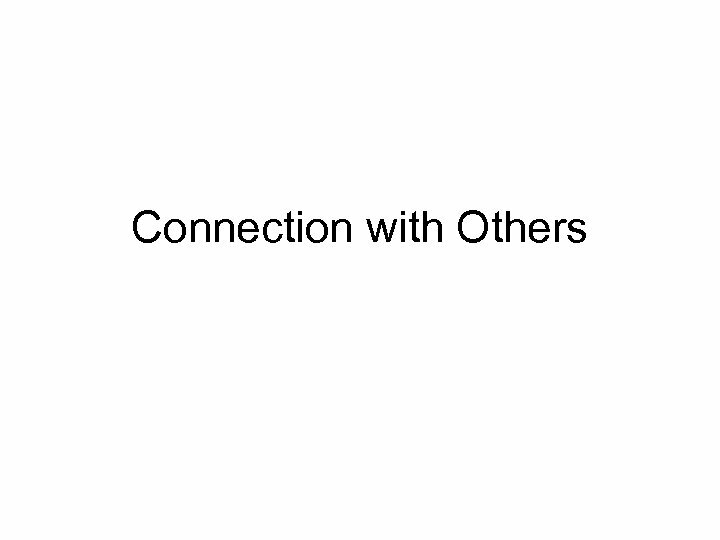 • Connection skills: – How can I help others? – Enjoy others as they already are. – Create time with friends. 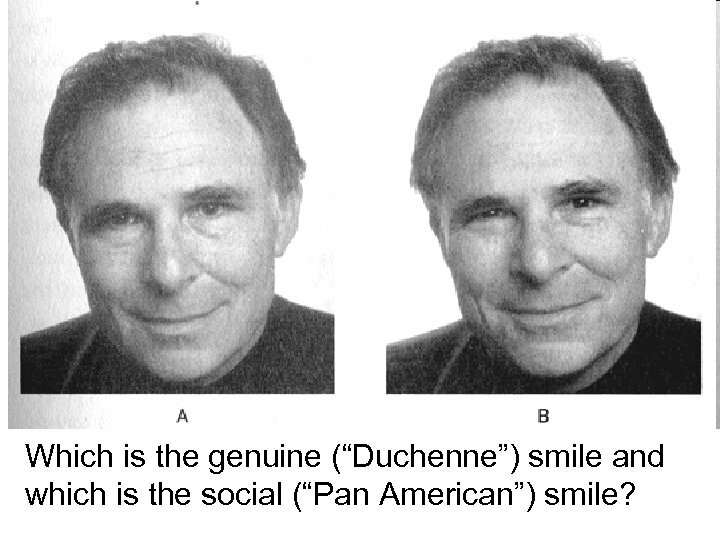 Which is the genuine (“Duchenne”) smile and which is the social (“Pan American”) smile? Smile Assignment • Practice smiling more on random days. 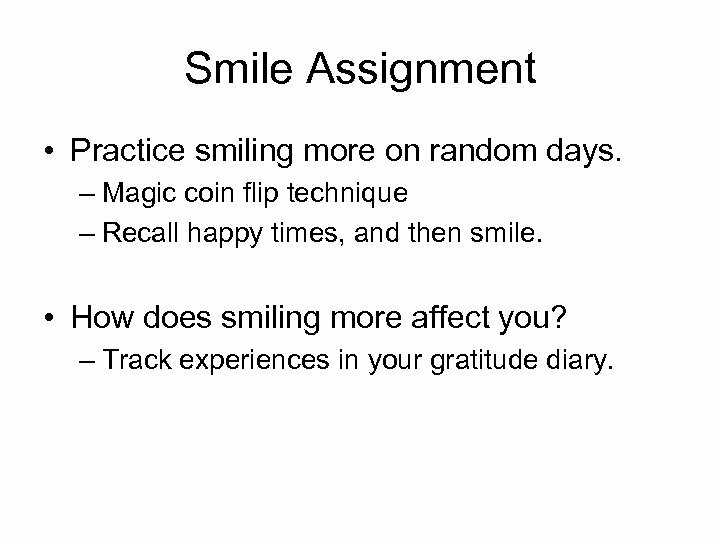 – Magic coin flip technique – Recall happy times, and then smile. 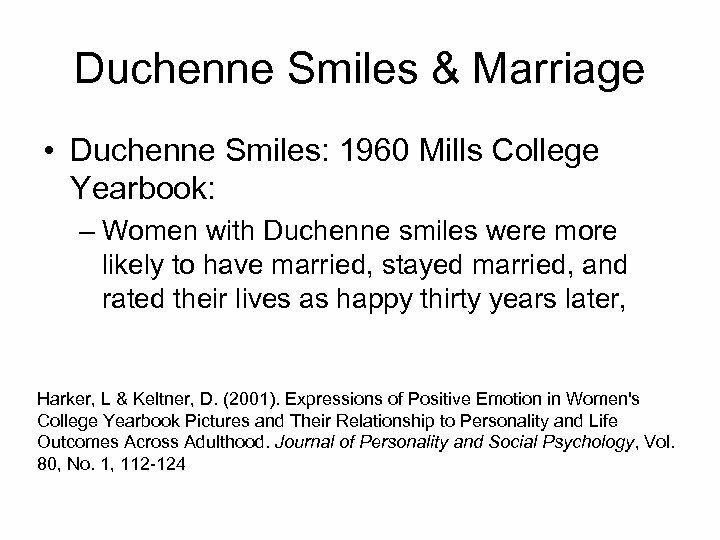 • How does smiling more affect you? 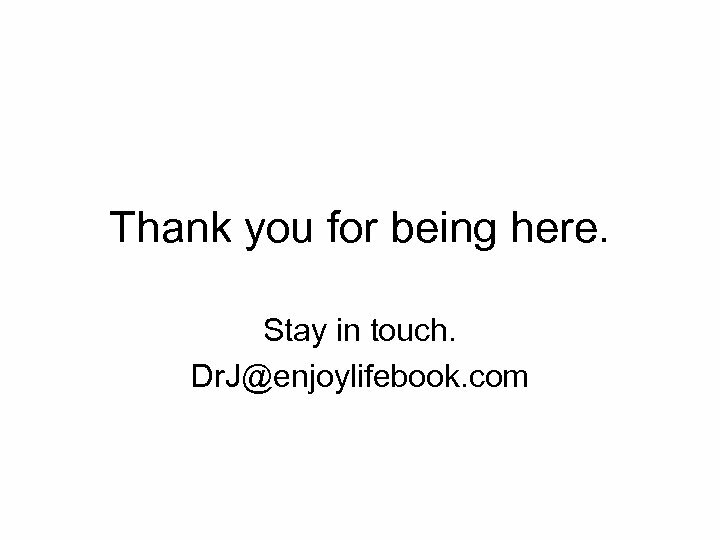 – Track experiences in your gratitude diary. 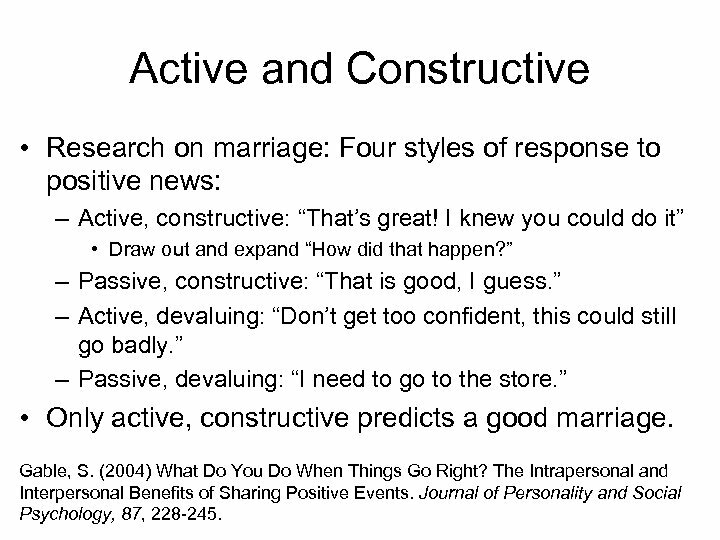 Active and Constructive • Research on marriage: Four styles of response to positive news: – Active, constructive: “That’s great! I knew you could do it” • Draw out and expand “How did that happen? ” – Passive, constructive: “That is good, I guess. ” – Active, devaluing: “Don’t get too confident, this could still go badly. 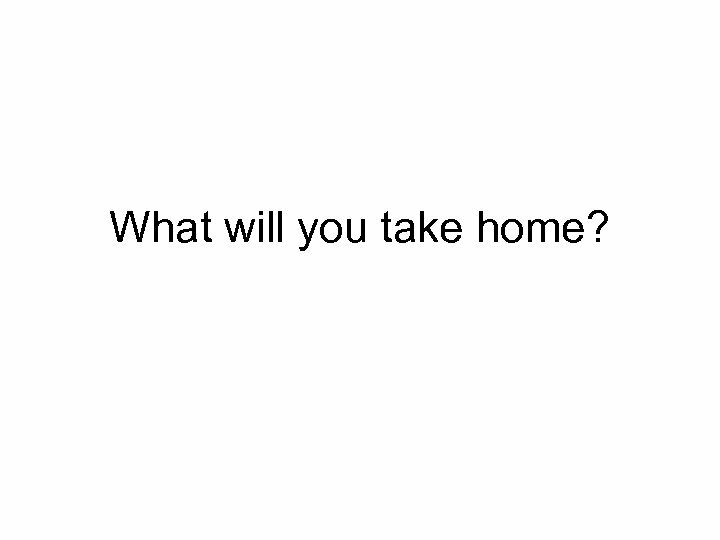 ” – Passive, devaluing: “I need to go to the store. ” • Only active, constructive predicts a good marriage. Gable, S. (2004) What Do You Do When Things Go Right? The Intrapersonal and Interpersonal Benefits of Sharing Positive Events. Journal of Personality and Social Psychology, 87, 228 -245.